and a bungee trampoline with up to 3 stations. We can make your event mild or wild. We have multiple pricing options available to work with your budget. Don’t need everything? No problem! You can pick the options that are perfect for your next event. 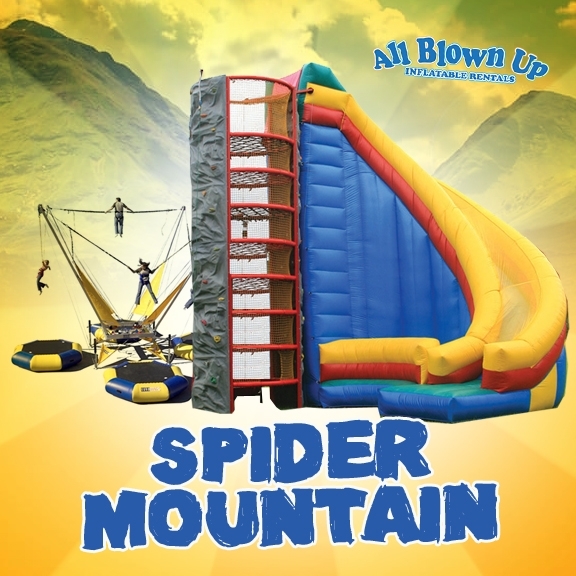 All Blown Up Inflatables can travel up to 600 miles with our extreme attractions, and all pricing includes delivery and staffing. ** All components are connected. When renting any configuration, all other components will be visible. Must pay to rent all components to be able to use them.